Two week ago (sorry for skipping a week!) we asked you when you started watching My Little Pony: Friendship is Magic. We were wondering how many first-hour fans there are still out there, and we are not disappointed! Almost 24% of you started watching directly from the first episode, and another 18% joined later in the season. The largest group is the fans that first watched FiM during season 2 or 3 (28%) followed by 20% during the 4th or 5th season. Only a handful of fans joined later on during season 6 or later. Interesting to see is that the release of the movie introduced 2% of you to Friendship is Magic. Last week we asked you whether the 2018 My Little Pony Happy Meal figures already arrived in your country. We're seeing just above a quarter of people who did already find them, which is quote a low number. 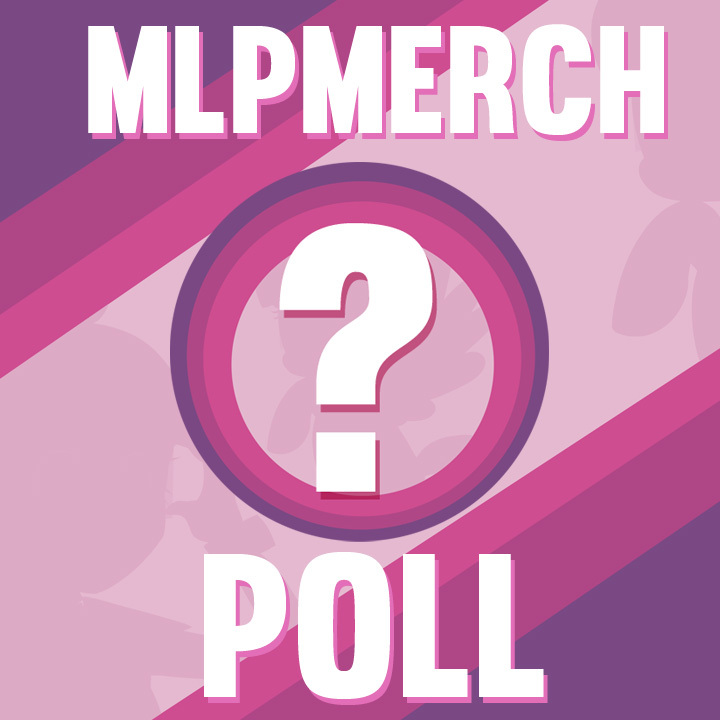 The biggest reason for this is the huge amount of people from the US here on MLP Merch, which makes up for almost 49% of the votes. 7% of the other people are from the UK and 18% from another country that did not see the release at their local McDonalds yet. Two week ago we asked you whether the limited articulation that's available on the upcoming Friendship Power Equestria Girls dolls is a deal breaker for you. Aside from the 36% that doesn't collect Equestria Girls we're seeing a very large group (30%) that will skip this set due to the articulation. Still, a total of 34% of the respondents is planning on buying the dolls, though 20% of those would prefer to see more articulation on future releases. Last week we asked you about your thoughts about the painted on clothing for brushables, something that will play a big role in the upcoming School of Friendship sets. The general consensus is clear: clothing that is painted on instead of plastic/fabric accessories does not have the favor of many collectors. The largest group, 39%, will avoid these kind of figures, and another 27% does not like the idea, but will get them anyway to keep their collection complete. An equally large group of 27% does not mind whether the figure has painted on clothing or not, and only 6% of the respondents prefers these over ponies without any clothing. Last week we asked you about your plans for collection My Little Pony merch after G4 ends and G4 would start. Overall the collectors are relatively positive, with 34% going to continue and 54% will await whether they like the new generation or not. 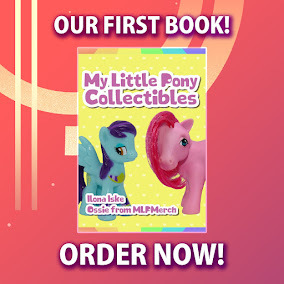 9% would put their MLP collecting days to an end and 4% is keeping G5 as an option to actually start their collection. Last week we asked you which characters you would pick from the upcoming McDonald's line if you were only able to pick three. Starlight Glimmer got the most hearts on her side and is definitely the most popular character that will be asked for at the McDonald's counters the coming weeks. Aside from her Twilight Sparkle, Fluttershy and Applejack are pretty popular too. They're followed by Rainbow Dash, Rarity and Pinkie. Spike ended up with the lowest amount of votes, but that might not really come as a surprise after we saw the responses on social media regarding is peculiar design! Two weeks ago (yes we skipped a week due to our holiday) we asked you which Cutie Mark Crusaders member was your favorite from the newly found School of Friendship set. The results are pretty close, but the winner was Sweetie Belle! She is closely followed by Apple Bloom and Scootaloo ended up in last place, but it's all very close. Last week we asked you about your thoughts on the new Scootaloo design, which is the first filly-mold figure since the reboot series. The result is incredible positive: 62% loves the combination, and another 18% likes the mold, but would like to see it on another pony. This leaves a relatively small 20% that does not like the reboot design for fillies. Last week we asked you who your favorite figure from the new EqG Minis Theme Park Collection is. The results were actually pretty close this time, with Sunset Shimmer winning this poll! On a close second place we can find Twilight Sparkle, followed by a bigger gap to the ponies that both got the same amount of votes to claim place #3: Pinkie Pie & Rarity. This leave Rainbow Dash in the final place, yet she managed to get over 10% of the votes.